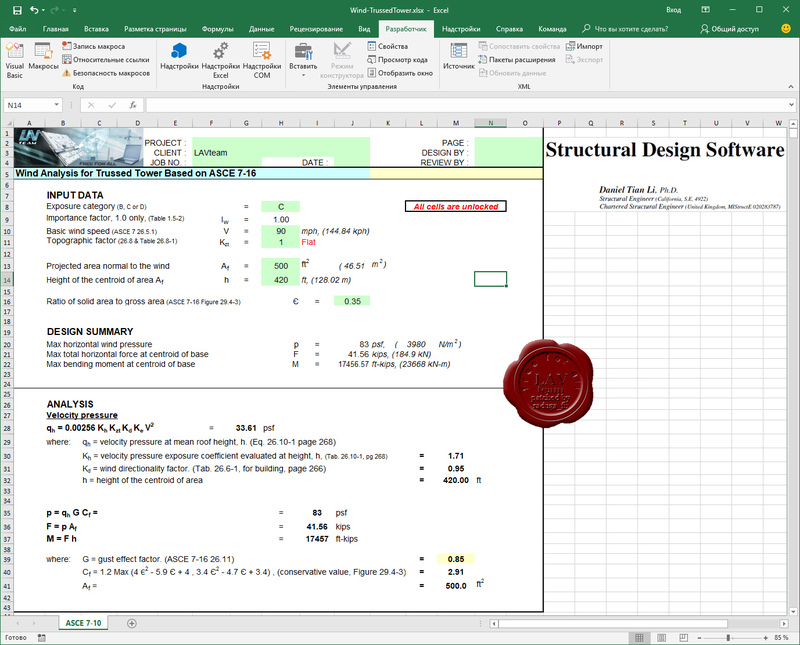 Structural Design Software provides software which created using Microsoft Windows Excel 2010/2013 or 2016 Office 365. Each spreadsheet contains formulas, reference code sections, and graphic drawings. The software are nice and easy on all Win Tablet/PAD. The analysis results can be copied and pasted to AutoCAD. The Example is intended for re-use and is loaded with floating comments as well as ActiveX pull-down menus for variable choices. All intermediate calculations are intended for submittal with the calculations to explain the results of the input. It is free to download, by click software name, for limited version (demo only). For professional version (xlsb/xlsm filename extension), a Package of all 306 listed software, the normal price is $1850 (less than $7 per software).